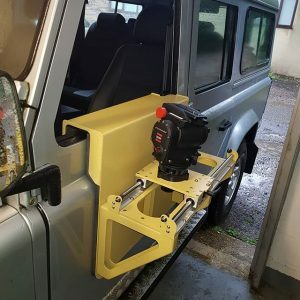 CAD Design, Fabrication & Manufacture of Vehicle Camera Mount System. We were approached by Guesser Images a wildlife photography company who required a custom vehicle camera mount which could be easily fitted onto the side of his Landrover Defender and work with their existing photography equipment. The specific requirements for the Vehicle Camera Mount System were that it would need to slide on rails, be compatible with the 100mm Dia. 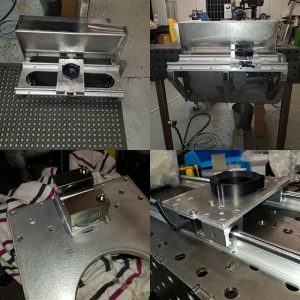 Camera ball mount system and carry 25Kg of camera and lens weight. The final and crucial requirement was that it would have to fit onto the drivers side door, enabling the camera to be operated with ease from within a precise vertical envelope for the window. As the vehicle was going to Africa for this particular shoot, it was important that the design was tough, and could withstand high temperatures, dust. Additionally, it had to have parts that could be easily replaced or repaired from remote areas of the world should it be necessary. 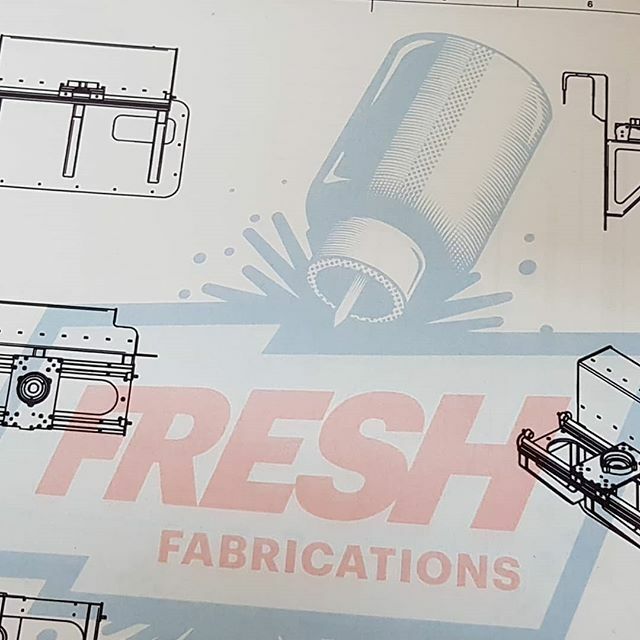 We completed the CAD modelling and drawing pack for the camera mount system and reviewed with our client to ensure that it was fit for purpose. 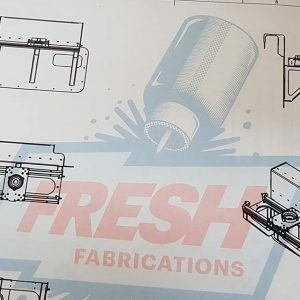 With the designed off we then sourced all components which included; linear bearings and bearing rails, rail clamp, laser profiled and folded elements. After the parts arrived, they were thoroughly checked for quality and against mating components. 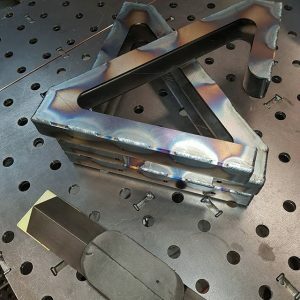 The welding of the door-mount and brackets was completed as was the CNC machining of the final elements. 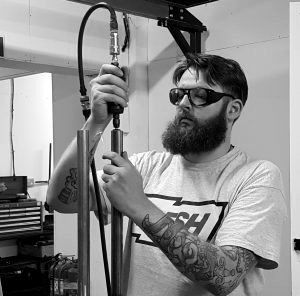 We conducted a full test of the equipment with the completed components for the clients final approval before items were sent for powder coating. 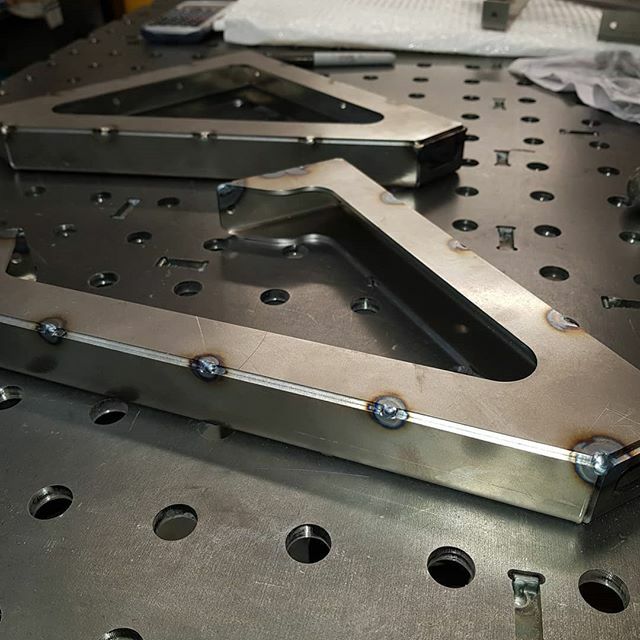 After we had received the items back from powder coating, we conducting a final assembly and inspection. The project was completed in good time for our clients scheduled trip to film in Africa. 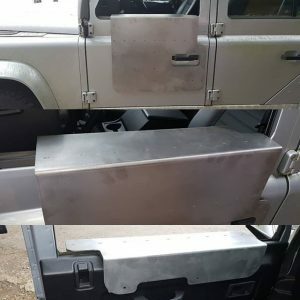 We have received very positive feedback from our client, below you can see their full report on how the equipment performed on location in Africa. The device did its job very well in all the circumstances we faced. It was exactly to the right size and very stable, yet still manoeuvrable. It provided very good support to the video head and the camera, even equipped with long and heavy lenses, and made a clear difference in the quality of the shooting we did this year. So the objective was reached successfully. Thank you very much for manufacturing such a great device! Not only was it a successful project, but it’s great to see how the Camera Mount System assisted Mr. Gesser in capturing some of these fantastic shots, check out his work here. You can also see what our other customers have to say about working with us.